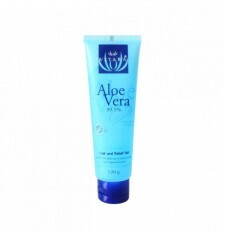 Cooling aloe vera gel that can relieve and cool skin burns. As a normal freeze, you can ease the wounds, but the itching and other skin problems. Of ancient Mesopotamia (1750 BC) in Greece of the early Christian era, through the Egypt of the pharaohs, we knew the virtues of aloe vera gel to treat skin infections, as well that the laxative properties of its latex. It is thought that it was the Spanish who have made ​​the first plans of aloe in America. In 1820, the official pharmacopoeia of the United States mentioned the laxative properties of aloe, which is part of various pharmaceutical preparations described in detail. In 1935, when a group of physicians using it to treat burns caused by x-ray, there is a renewed interest in the use of topical gel, which then makes a grand entrance into the world of products cosmetic and dermatological. - Succotrina Aloe, Curacao Aloe, Aloe Aloe ferox capiensis and which are traditionally used for the manufacture of latex extracts (aloe pharmaceuticals), but you can also use the gel. Aloe vera cool gel, goes into the manufacture of many cosmetic products. It can, among other things provide a basis for diluting essential oils. It soothes irritations, cold sores, razor burn, sunburn, insect bites, wounds. In daily care to apply a dab of Cool Gel on the skin and massage gently to rub the Cool Gel into the skin or scalp. It helps fight against signs of skin aging. Mixed with equal parts vegetable oil, aloe vera helps the absorption of fatty acids through the skin. Aloe Vera moisturizes the skin, but it can also hold moisture in the skin. Aloe Vera Gel nourishes and regenerates the skin and fight against aging. Aloe Vera removes dead cells that clog pores and suffocate. It then helps the growth of new cells through the many nutrients it contains. 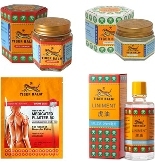 Thus, it acts against stretch marks, birthmarks or old age, redness.